As we're about to embark on our 2015 summer break I want to first of all share some proud Pop news. 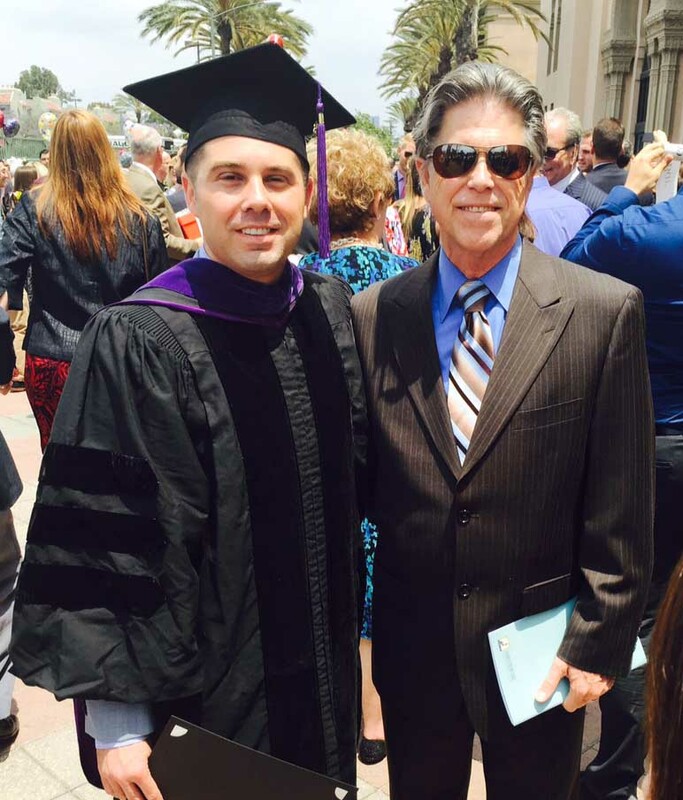 My 35-year-old son, Derek, graduated from Southwestern Law School on Sunday, May 17th, at the Shrine Auditorium right next to his and my Alma Mater, USC. There were 300 graduates, a slew of faculty and eminent guests and a full audience comprised of proud families and friends. Now, a shoulder-to-grindstone push for Derek toward the end of July, onward for the next leg of the journey, the daunting Bar exam, the hardest in the nation! Artwan Green, who recently turned 23 and has been involved with Sacred Path since he was 11, arrived back in LA on Friday night to surprise Derek on Sunday. He wrapped up the spring semester at New Mexico State University by attaining his Associates of Arts degree. He's on the path to earn his B.A. within the next year or so. My 31-year-old son, Ian, is graduating from DePaul University in Chicago this month with his B.A. in Business Economics. He has plans to attain his MBA the following year. Congrats to all three of these young men for their accomplishments gained through hard earned dedication and commitment to their formal educational process. While on retreat in April, Derek Zimmerman and I sat down with Artwan to record another Mindful Man podcast, the third in our series. His story is very compelling and inspirational since he's overcome so much adversity to become the mindful man that he has worked hard to achieve. If you haven't had the opportunity to listen to the first two, take the time to listen to this one featuring Artwan. I'm sure, when you do, you'll want to hear the others: #1. An interview with me focusing on the history of MCLA/Sacred Path and the men's movement; and #2. A show on men's health featuring our health experts, Drs. Michael Lewis and Bruce Figoten. You can access the newest podcast here: The Mindful Man Episode 3. I suggest that you use your podcast app on your smartphone. Navigate to The Mindful Man podcast and download it. You'll have access to the three that are already posted and to the ones that are in the can to be posted next. I listen while on the treadmill, a great way to pass the time. More exciting news: Through the generous efforts of Michael Lewis, Matt Ansoorian and Rob Bruce we are officially launching our brand new Men's Center Los Angeles website. Please visit www.menscenterlosangeles.com and have a look. The communications team, including our newsletter editor Bill Arena, is endeavoring to create a streamlined, user-friendly website and monthly newsletter. During various points in time, men approach us with a desire to assist by doing more to support the vision and mission of the Men’s Center. We have some men that are currently in the interviewing process of joining the Wisdom Council. Each of these men has attended several Retreats in the past and desires to take his own personal growth to a higher level as well as to provide additional service to the SP Community. When invited to join the WC, each responded that it would “be an honor;" and indeed it is, as it is for those of us that are already serving the MCLA/Sacred Path Community through our brotherhood. There have been many men over the past 28 years who have served on the WC. Some have been with us in continuous participation for many years, while others having put in a lengthy tenure have retired and then there are those who have left their indelible mark in a legacy that lives on. Their names are acknowledged in The Staff section of the web site. A heartfelt thank you to all of the good men that have made their mark in the annals of the history of our organization. TAKE NOTE that The 28th Annual Fall Men's Sacred Path Retreat is coming this October commencing on Thursday the 15th through Sunday the 18th. Along with the core program, we have invited some talented guest presenters who will share an array of invaluable information and experiential breakout sessions. We are also in discussion about a few different pricing packages that will offer participants the opportunity to support the enrollment process while taking advantage of some very lucrative savings. Our goal is to have 60 participants and a staff of 15 in attendance. We feel that a village of 75-80 on the mountain allows for the intimacy of connectivity and engagement while maintaining the viability of our financial responsibilities. We will provide more information and open the early enrollment process in July. Mark your calendars now and say "YES" to make your commitment to join us and plan to BRING SOMEONE WITH YOU!